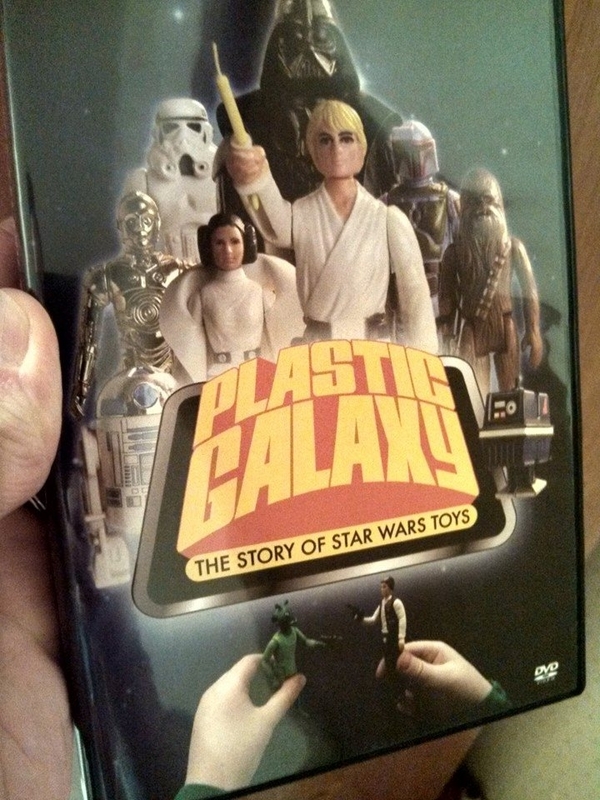 I’ve said before how excited I am to have played a small part in this project, so when the finished DVD of Plastic Galaxy: The Story of Star Wars Toys landed in my mailbox last week, it was a little like the day I got my Bossk. I may not be the most impartial reviewer, of course, but think the movie turned out well. It’s a nice balance of nostalgia trip, toy merchandising history lesson, eye-popping show-and-tell, and behind-the-scenes storytelling. There’s some fun animation work throughout, too. It’s probably not too much of a stretch to say that if you remember the Kenner brand or coveted the neighbor kid’s Landspeeder or grew up in the twin-sun shadow of the original Star Wars, then Plastic Galaxy is probably in your wheelhouse. You can order it from Brian and Karl’s Futurious Industries.